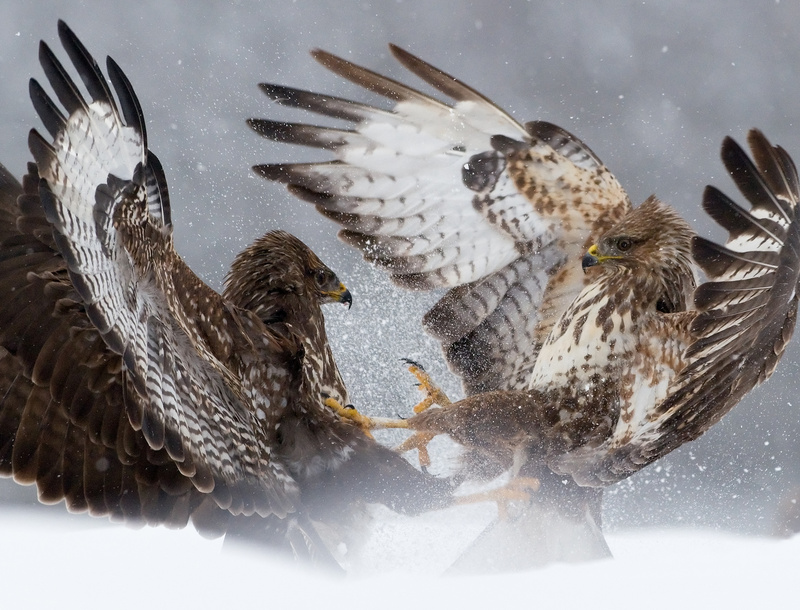 These two hawks are fighting over food at Kiskunság. Food is a rare commodity in an area covered by thick snow. These birds that spend the winter in this area regularly have to fight for a booty.